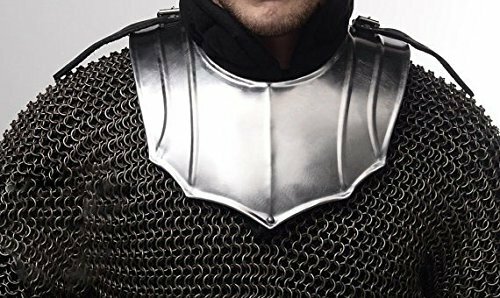 Steel Armour Gorget. Complete with leather fastening straps. It is a very strong material, but very lightweight and comfortable to wear. It will not split or crack under normal use or become brittle with age. All edges are smooth and there are no sharp parts, so it is safe to use in any Larp system. Manufactured & sold by NauticalMart Inc.